Inspire all students! 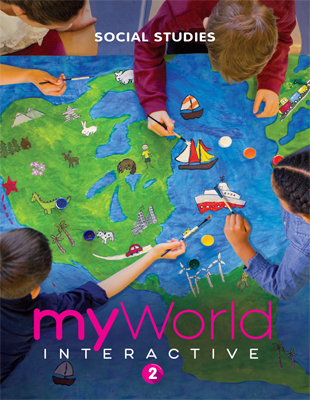 myWorld Interactive is a K-5 social studies curriculum that encourages active inquiry while introducing civics, economics, geography, and history concepts. 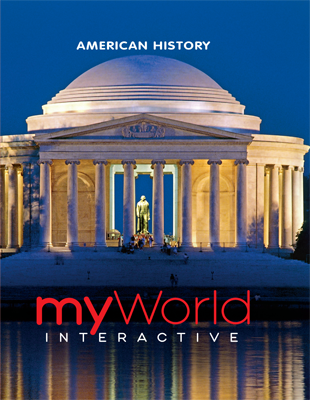 Students develop critical thinking, problem solving, and communicating skills for engaged civic life. 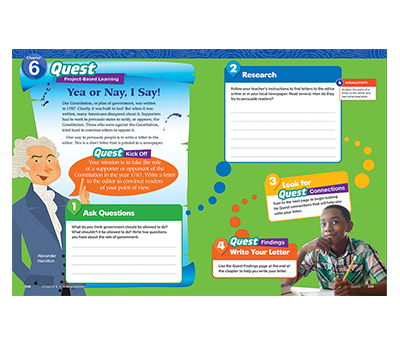 The program includes strong ELA instruction to support social studies inquiry and new literacy standards. 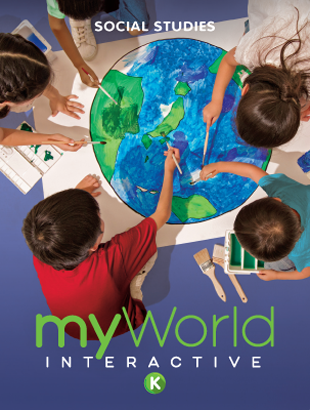 myWorld Interactive is both comprehensive and adaptable, so it fits a wide range of classrooms and schedules. 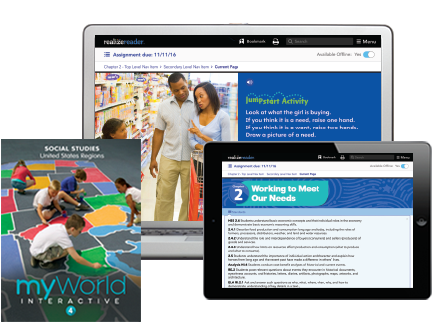 It’s the student-centered social studies curriculum that helps teachers achieve their instructional goals. 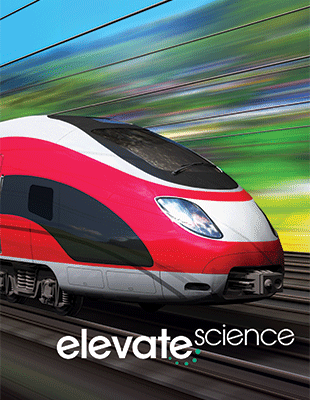 Project-Based Learning creates active inquiry experiences that develop skills for active, responsible citizenship. 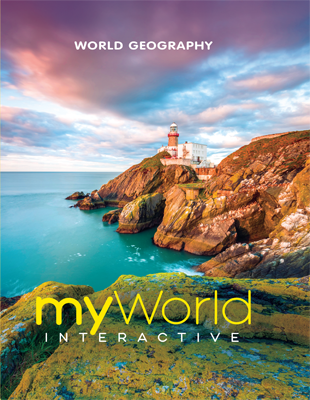 myWorld Interactive focuses on inquiry skills and key concepts that support your state standards and the College, Career, and Civic Life (C3) Framework for Social Studies. Every minute of every lesson is a literacy opportunity. 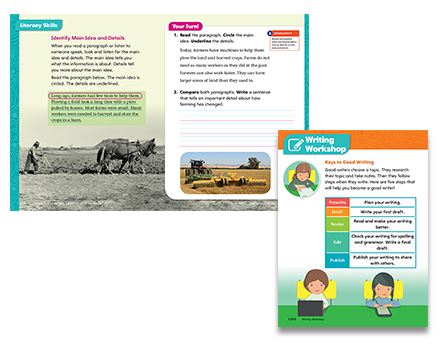 Integrated ELA resources and routines help students read text closely, analyze information, and communicate well-defended ideas. Build vocabulary and language skills, support your reading block. 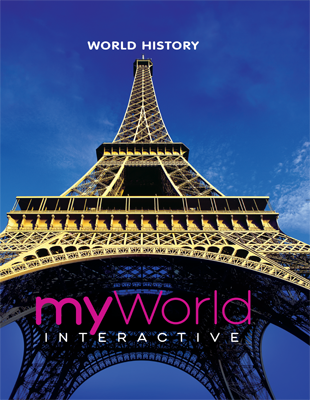 This is our most flexible social studies curriculum yet. 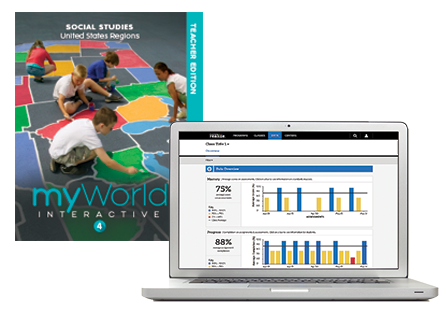 Multiple options provide access and equity for culturally responsive teaching, differentiation needs, and delivery approaches. The program adapts to your schedule, your classroom, and your preferences.